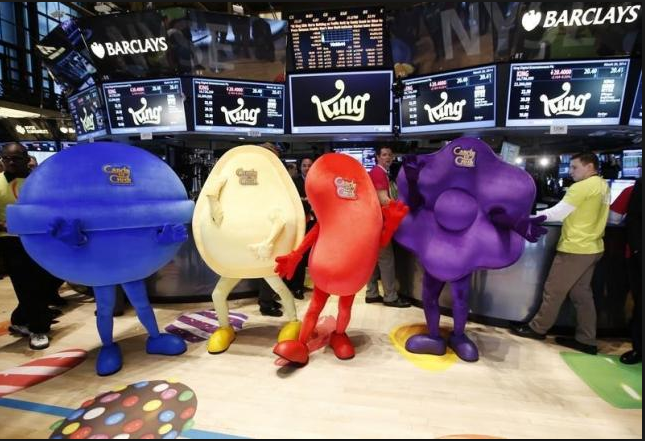 King Digital Entertainment plc (NYSE:KING is not exactly well-known by most stock traders; however one of its signature products – Candy Crush Saga – is thoroughly enjoyed by millions of mobile gaming enthusiasts. August was a particularly difficult month for this New York Stock Exchange-listed company, owing to declines in unique monthly users, earnings and gross bookings. It must be pointed out however that the reported figures came in above analysts’ expectations, but that does not dispel the negativity created by poor data. The stock is currently trading at $13.69 a share, with a mean recommendation for the week ahead of 2.4. 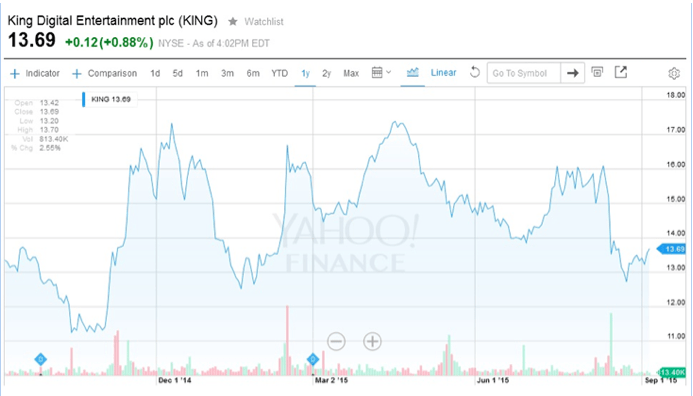 On a scale of 1.0 (strong buy) – 5.0 (sell), King Digital Entertainment plc is rated at 2.4. That figure is closer to a buy than it is to sell, but my gut instinct tells me that at least in the short-term King Digital entertainment is a hold. The mean target for the stock is $18.42, the median target is $17.50 and the high target is $27. Since all of these figures are far away from the current stock price, it is clearly undervalued, even at its low target price of $15. According to some of the upgrades and downgrades reported by various research firms, Morgan Stanley assigned an overweight rating to the stock in July 2015, while JP Morgan downgraded the stock from an overweight rating to a neutral rating midway through August 2015. Viewed in perspective, King Digital Entertainment plc is struggling, and this is especially notable given that its most popular product has hit the skids. Why is King Digital not the Best Stock to Pick Right Now? MUUs and MAUs both experienced declines. These are all worrying trends for a gaming company, since it relies on high levels of user interaction to maintain market share. There is no reason why a Chinese equities rout would stop people from playing Candy Crush Saga, but in the case of this company decline of 27% in monthly unique paying users are hurting the bottom line. To date, the aforementioned game is responsible for bringing in some 40% of gross bookings during the most recent quarter. Even when you take new gaming releases into account, their year-on-year bookings increased by 30%, but they were insufficient to offset the losses suffered with Candy Crush Saga. On the plus side, the company has earnings expectations of up to $485 million during Q3/Q4 2015. While this pales in comparison to the Q3, 2014 bookings of $544 million, it is an encouraging sign nonetheless. With gaming companies, one always has to take the life cycle effect into account. Games require an ever expanding base of users to start bringing in the requisite earnings potential, but with several new games on board we are still in the early stages. 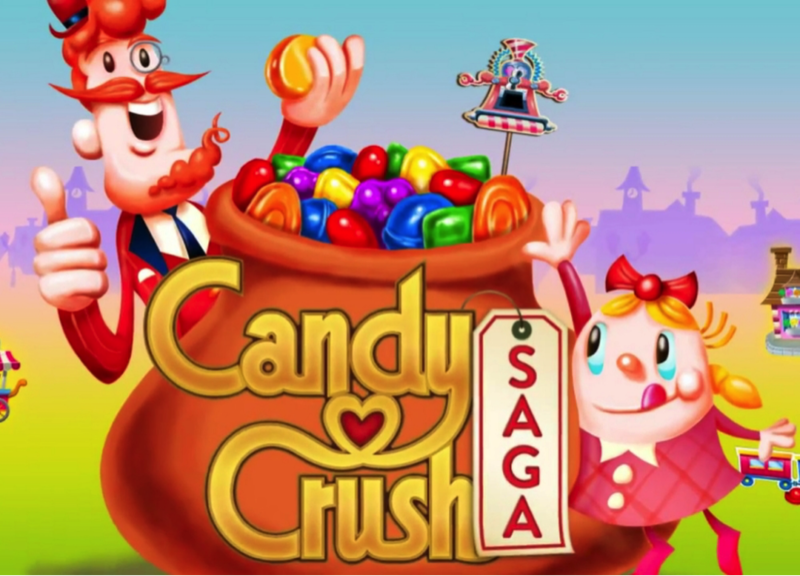 King Digital went public in 2014 and it did so on the back of its hit sensation – Candy Crush Saga. I am less concerned about the popularity of individual games with this company than I am with overall sentiment which appears to be turning bearish at least in the short-term. At current prices the price/earnings ratio is 7.82 and the company has a market cap of $4.26 billion. The next earnings date is expected on November 4-9, 2015. By that stage we will have a much clearer picture of where this stock is likely to move in the medium term. What are Analysts saying about the Stock? August performance aside, many analysts are assigning an equal weight rating to the stock. Just recently, Pacific Crest gave King Digital an equal weight rating. The company’s 50-day moving average is $14.63 and the 200-day moving average is listed at $15.18. Both these figures are higher than the current stock price. In its most recent earnings report a $0.49 Earnings per Share was issued for the last quarter – that was $0.06 higher than the $0.43forecast figure. If we backtrack a year, the figure was $0.59 EPS – so clearly the decline is substantial. 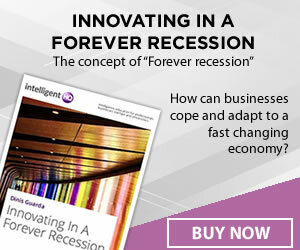 For the present year the general consensus is that Earnings per Share of $1.85 will be paid out. To sum it up, King Digital is undervalued according to consensus estimates, but its revenues are also declining. A smart trading option would be to place longer-term call options on the stock as new games always bring plenty of promise to a gaming company. Investing in Medicinal Cannabis: Can it Be the New Crypto?